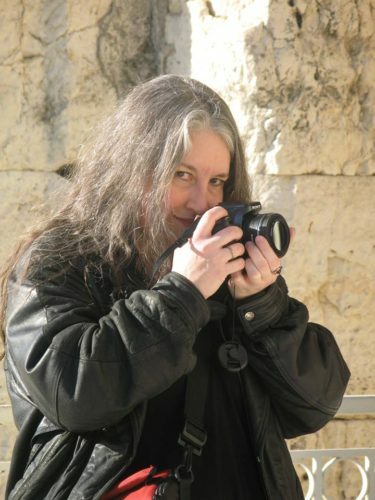 Sandra Swan of Wild Hunt Photography first learned the art from her father, at about age 10. She didn’t receive her first roll of film for several weeks, until he was satisfied she could hold the camera still, but then he went on to teach her how to develop her own black and white film and print her own photos. Fast forward 40 years or so, through college, work, a short marriage, and raising two daughters to adulthood. Sandra is now concentrating her resources on building a semi-professional photography practice. She is focusing mainly on portraiture and performance photography, as well as contributing to several projects with Quiet Thunder, the publishing company she and her husband SatyrPhil Brucato accidentally created several years ago in the process of putting out the benefit anthology Ravens in the Library. She has also branched out with great delight into creating story illustrations and book covers, and looks forward to finding out what comes next.